Nice quality and good value day or short trek backpack. Lots of accessible pockets for items needed in a hurry, good carridge system to distribute the load and very adjustable for comfort. The packs has clam shell opening and decompartmentaised into 3 deep layers. The heavy weight denier polyester material ensures a durable, long-lasting pack, which can brave the elements. 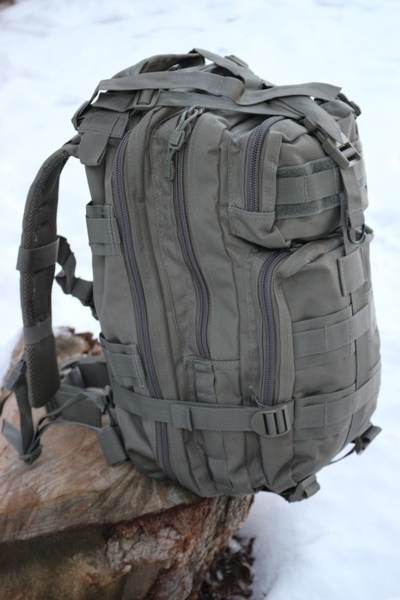 The extensive storage options make the pack ideal for organizing your gear or filling it with supplies for your Bug Out Bag; the backpack features one large compartment with a zippered pouch and mesh pocket, 3 additional outside zipper pockets and storage compartment; and if that was not enough storage, the Medium Transport Pack is also MOLLE (Modular Lightweight Load-carrying Equipment) compatible, which will allow you to attach additional MOLLE compatible pouches and accessories. 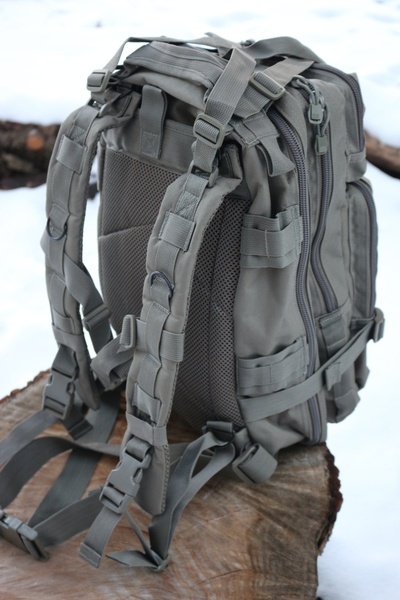 The pack is also hydration bladder compatible and features a water repellent lining. 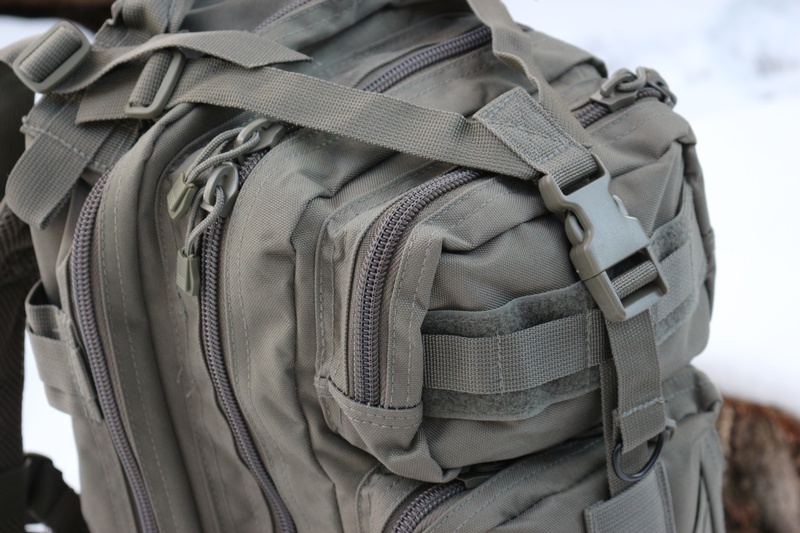 For added comfort and long range usage, the tactical backpack has been equipped with a padded back and shoulder straps and breathable mesh backing. 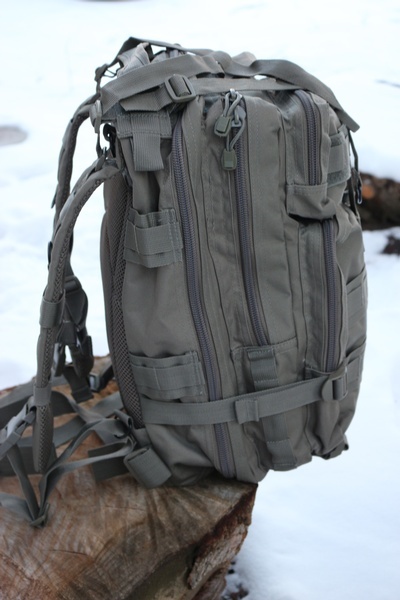 Additional features of the Transport Pack include top & side adjustable web straps and a top carry handle. Transport Backpack measures 17”x10”x9”. 600 Denier Polyester, Overall: 17" x 10" x 9"
Purchase through PayPal by using the "Add To Cart" button above or use the form below to order the Transport Backpack Foliage Green . 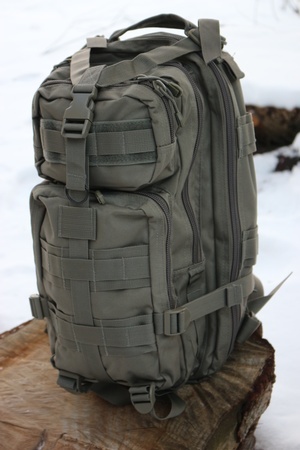 Feel free to contact us if you have any questions about the Transport Backpack Foliage Green .